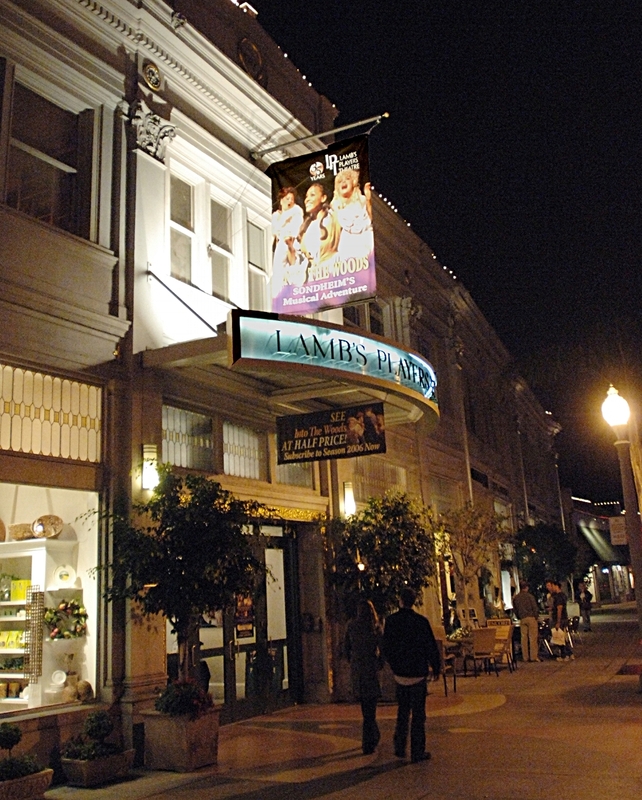 One of San Diego's leading professional non-profit theatre companies LAMB'S is located on the island community of Coronado just across the San Diego Bay Bridge. Our beautiful resident theatre is located in Coronado's iconic Spreckels Building in the heart of this charming beach-side village. It's a comfortable, intimate theatre in an European amphitheater style offering terrific sightlines and no seat more than 7 rows from the stage. Within easy walking distance of the theatre are one of the world's best beaches, the iconic Hotel del Coronado, a variety of parks & shops, and dozens of great restaurants ranging from casual to classy. Coronado is a popular dining & recreation area. Give yourself extra time if you want to find metered or free street parking. Or for a fee there is enclosed parking under the Coronado Plaza just 2 blocks south of the theatre. Entrance is just as you turn right onto Dana Place off of Orange Ave. After you park you may purchase a discounted parking coupon from our Box Office to use as payment when you exit.